With cold and flu season in full swing, it pays to be prepared! It’s the perfect time to stock up on items that will help you quickly get through the aches & pains of cold and flu season and many of those items come from Boiron: Oscillococcinum for fever, chills and body aches; Coldcalm tablets and Children’s ColdCalm pellets for sneezing, runny nose, nasal congestion, and minor sore throat; and, Chestal and Children’s Chestal, with natural honey for all types of common coughs. And don’t forget about Arnicare! This gel or cream should be a go-to pain reliever for sore arms and legs and stiff backs from raking leaves, participating in school sports, or tackling DIY home projects. Our medicine cabinet is definitely stocked with these must-haves from Boiron as we prepare for any sickness that comes our way this winter! Arnica montana (or Mountain daisy) has been used for centuries as a natural pain reliever, and today, it’s one of the most popular homeopathic medicines in the world. Arnica is trusted by professional athletes to soothe sore muscles, by prominent cosmetic surgeons to relieve post-procedure pain, and by savvy moms to treat playground bumps and bruises. And anyone who bruises easily will appreciate Arnica’s ability to reduce bruise discoloration. Made from this natural active ingredient, Arnicare temporarily relieves muscle pain and stiffness, swelling and discoloration from bruises. This non-sticky, non-greasy gel has a cooling effect, and it is quickly absorbed by the skin. Available in 4.1, 2.6 oz and 1.5 oz tubes, it is unscented and paraben-free. 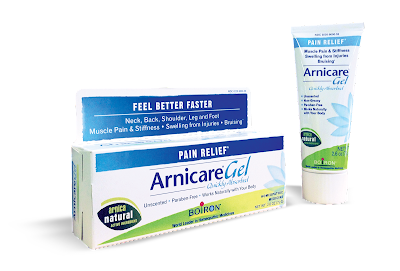 I am always reaching for my Arnicare to soothe my sore muscles from working out, heal bruises quickly and get some relief from tight and sore muscles from stress! It works wonders and I love this stuff!!! Children’s Chestal Honey Cough & Chest Congestion is a multi-cough formula that temporarily relieves all types of common coughs. The natural goodness of the honey in Chestal coats and soothes the throat, while the homeopathic medicines loosen chest congestion, thereby making the child’s cough more productive for a speedier recovery. Recommended for children ages 2 and up, Children’s Chestal Honey Cough & Chest Congestion is your day and night solution — calming those dry, fitful coughs at bedtime so they don’t prevent sleep, but without drowsy side effects for the day. Children’s Chestal Honey Cough & Chest Congestion works best when taken at the first sign of a cough. I never give my children's mainstream cough medicine when sick because of all the horrible ingredients they put in their stuff like artificial colors, parabens and other bad stuff. When my children have a cough or cold, I reach for Children's Chestal Honey Cough & Chest Congestion because it is safe for them, includes natural healing ingredients like honey and really works! Made from the Garden marigold, Calendula is a paraben-free option to help heal cuts, scrapes, minor burns, chafing, sunburn and other skin irritations. The soothing and moisturizing cream is best for sensitive skin and on children. Boiron’s Calendula works to relieve dry, chafed skin. 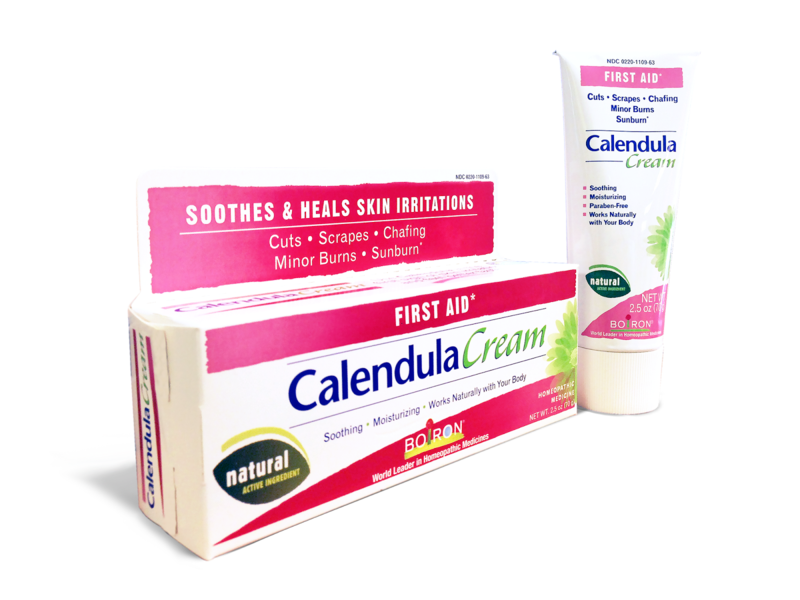 With the dry winter season here, I am constantly applying Calendula to dry skin in our house! It is one of the only thing that works on the severe dry skin my children get! Plus, it works great on cuts and scrapes too! You can purchase all Boiron products at many local retailers near you. Boiron is generously offering a great homeopathic flu, cough and cold essentials pack including (1) Oscillo 6 Dose, Coldcalm, Chestal Cold & Cough and Chestal Honey Cough & Chest Congestion, as well as a pair of Oscillo Touchscreen Friendly gloves and a Oscillo luggage tag to a lucky winner! 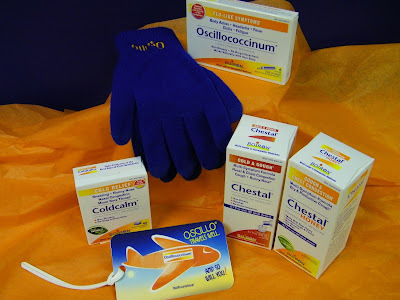 · 1 Box of Oscillococcinum® 6 Dose: For more than 70 years, families around the world have relied on Oscillococcinum to reduce both the duration and severity of flu-like symptoms such as body aches, headache, fever, chills and fatigue. It nips flu-like symptoms in the bud without drowsy side effects or any known drug interactions in everyone 2 and up. 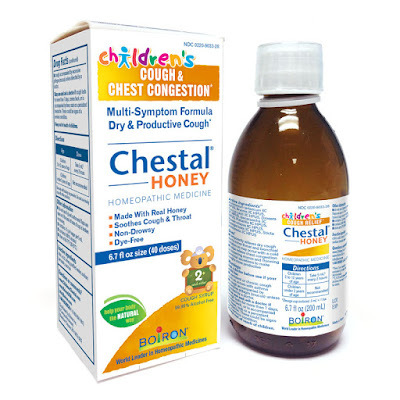 · 1 Chestal® Honey Cough & Chest Congestion 6.7 fl oz. : Chestal Honey’s multi-cough formula temporarily relieves all types of common coughs. The natural goodness of the honey in Chestal Honey coats and soothes the throat, while the homeopathic medicines loosen chest congestion, thereby making the cough more productive for a speedier recovery. This non-drowsy medicine has no known drug interactions and is recommended for everyone 2 and up. 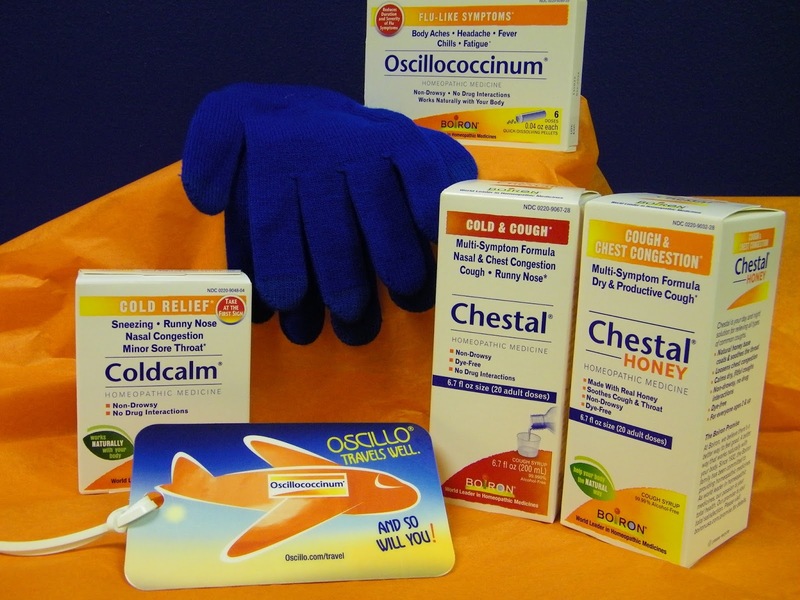 · 1 Chestal® Cold & Cough 6.7 fl oz. : Chestal Cold & Cough’s multi-symptom formula temporarily relieves symptoms of the common cold such as nasal and chest congestion, fitful cough, sneezing, minor sore throat, and runny or stuffy nose. This non-drowsy, kid-friendly syrup is recommended for everyone 3 and up. · 1 Coldcalm® 60 Dose: Coldcalm addresses symptoms at every stage of a cold, such as sneezing, runny nose, nasal congestion and minor sore throat. Available in pleasant-tasting, quick-dissolving tablets, Coldcalm does not cause drowsiness and there are no known interactions with other medications. Recommended for everyone 3 and up, Coldcalm works best when taken at the first sign of a cold.